1 product only with price..
Code: Select allExecuting statement "
"config", "status", "mtime", "editor", "ctime"
Don't delete any tables! This will totally screw up your installation. You already have a delivery option with the code "porto1". This isn't cached at all. Either your configuration is still wrong or you added the TypoScript configuration at the wrong place. 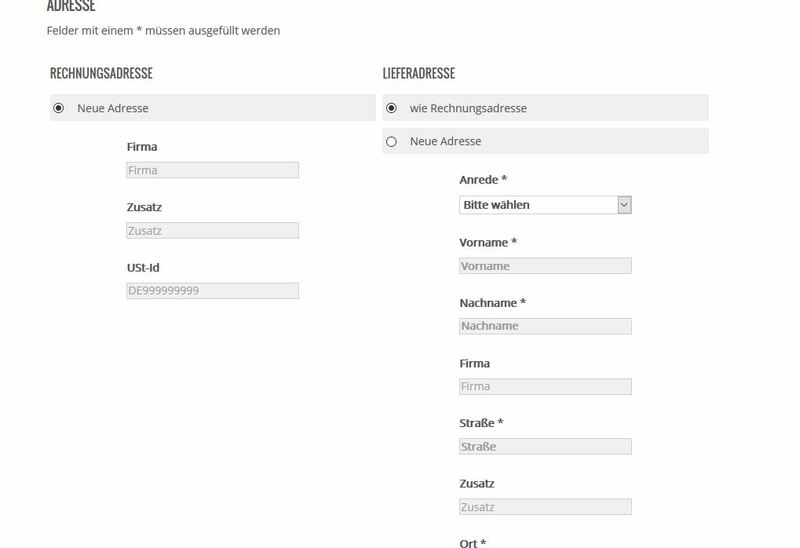 2 deliverys with Kosten pro Stück: as price..., not with "tatsächlicher preis"
cause of install-tool: is this correct: normaly this tables are to delete if i deinstall an extension (what i have done many many times), but with aimeos i should'nt do this...? then i always get this in the basket... is there a problem with the "position" or "key"? another possibility would be: to do a choice in the first basket-step, but what is afterwards with step 3, where there are possibilities, too? amieos wrote: This isn't cached at all. Either your configuration is still wrong or you added the TypoScript configuration at the wrong place. The page isn't cached at all by default. You have added something wrong into your TypoScript configuration that causes this. If your TypoScript is in an external file, you have to clear the TYPO3 caches in the backend. Yes, the APC cache stores configuration values and this cache is hard to clear. You can disable the APC cache in the Extension Manager to see if it will then work like before. If not, you should go to the page where the "checkout standard" plugin in placed and use the TypoScript browser to see if there is a configuration setting for the checkout address fields.